Rouhani publicly released 11 political prisoners just days before his visit to the U.S., but has released zero since then. Only days prior to his visit to the U.S. and subsequent U.N. address, President Hassan Rouhani ordered the release of 11 political prisoners. 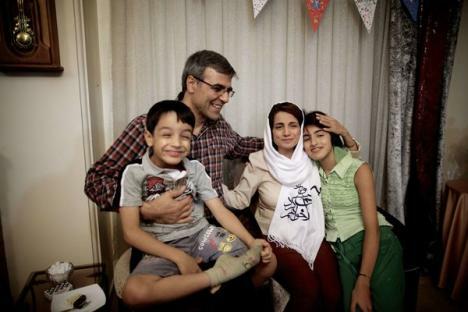 8 women, including noted human rights lawyer, Nasrin Sotoudeh, and 3 men were freed from prison or house arrest sentences stemming from anti-government activities. I am certainly thankful for the release of these men and women, regardless of the motives behind this obvious public relations maneuver. Without doubt, their families are celebrating this unexpected blessing, as they should. I know the many hundreds of other families with loved ones in Iranian prisons are fervently praying for similar news to come their way in the near future. I am joining them in prayer for this outcome as well. If past behavior is the best predictor of future behavior, however, I fear that these families may be in for a lengthy wait. I truly pray that I am wrong. What I do know is that the prisons are absolutely stuffed with offenders whose crimes are markedly similar to the 11 recently released. This is not even beginning to consider our Christian brothers and sisters who are languishing in jail cells since their faith in Christ is viewed as a direct transgression against Islam and the government, since the two are not only inseparable, they are one and the same. Please join me in praising the Lord for the release of the 11 prisoners on September 18. Let us pray together that this is just the tip of the iceberg for many hundreds to follow in spite of what history seems to indicate. ← Rouhani Came to Give a False Sense of Hope to the U.S.
Rouhani Came to Give a False Sense of Hope to the U.S.